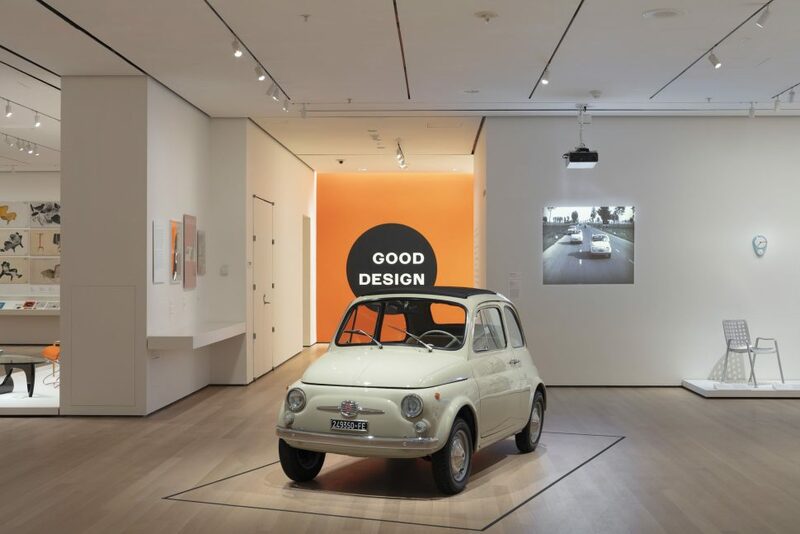 Like the Fiat 500 Topolino that preceded it, the Fiat 500 Nuovo — that debuted in July 1957 — was built with the philosophy that high-quality design should be accessible to all, regardless of budget. Though the model has received numerous awards over the decades (and spurred a modern Fiat 500 equivalent, launched in Europe in 2007 and in North America in 2011), few accolades are more prestigious that appearing in a design exhibit at the Museum of Modern Art (MoMA). Work on a Fiat model to replace the Topolino began before Dante Giacosa took over as Fiat’s Assistant Director in 1940. The Topolino had been a sales success for the Italian automaker since its launch in 1936, but Giacosa anticipated a need for a broader product range. Above the Topolino, he began designing a larger model to be called the 700; below it, a more compact Fiat to be called the 400. Wartime Allied bombing raids destroyed Fiat’s design center, and with it, Giacosa’s work on the two new models. A contemporary Fiat 500 gives a sense of scale to the 500 F.
Postwar, Giacosa began again, with the 700 evolving into the Fiat 600, which launched in 1955. Two years later, his Fiat 500 Nuovo (the descriptor distinguishing the car for the 500 Topolino) appeared on the market, and like its predecessor was a small car that maximized interior space surprisingly well. Like the Volkswagen Beetle, the Fiat 500 used an air-cooled engine, mounted in the rear of the car to improve packaging and cabin room. Unlike the Volkswagen — that received a 1.2-liter four-cylinder engine rated at 36 hp for 1954 — the Fiat 500 made do with an inline two-cylinder engine, displacing just 480-cc and producing a modest 13 hp. For its intended role as a city car, and not a highway cruiser, the Fiat 500’s output was good enough, delivering a top speed of 53 mph. It also served up a dash of luxury with its folding canvas roof, which enabled driver and passenger to enjoy open-air motoring in fair weather, without the expense of buying a convertible. Truth be told, this was a cost-saving measure by Fiat, since in postwar Europe canvas was a far less expensive material than steel, and as the video below portrays, the automaker successfully marketed the model to a diverse audience, from factory workers to doctors. The Fiat 500 soldiered on through several generations, with the 500 F — introduced in 1965 — ultimately proving the most popular. Identifiable by its front-hinged doors (as opposed to the rear-hinged “suicide doors” used on earlier Fiat 500 models), the 500 F boasted 22 hp, courtesy of a larger, 499-cc air-cooled two-cylinder engine. Combined with the higher-trim L version, the Fiat 500 F would sell more than 2.2-million examples before being phased out by the 500 R in 1972. This final model remained in production until 1975, and, in total, Fiat produced more than 3.4-million 500s over 19 years. 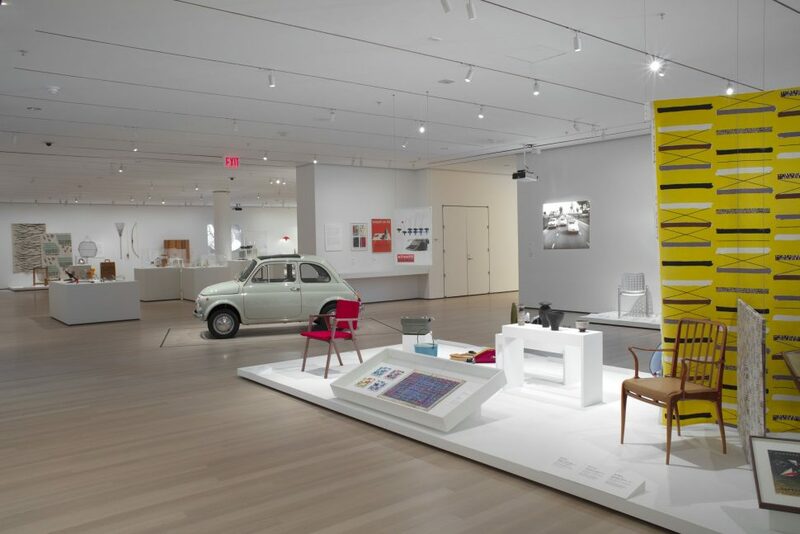 In 2017, the Museum of Modern Art acquired a Fiat 500 F, now featured in The Value of Good Design, an exhibit running through June 15, 2019. 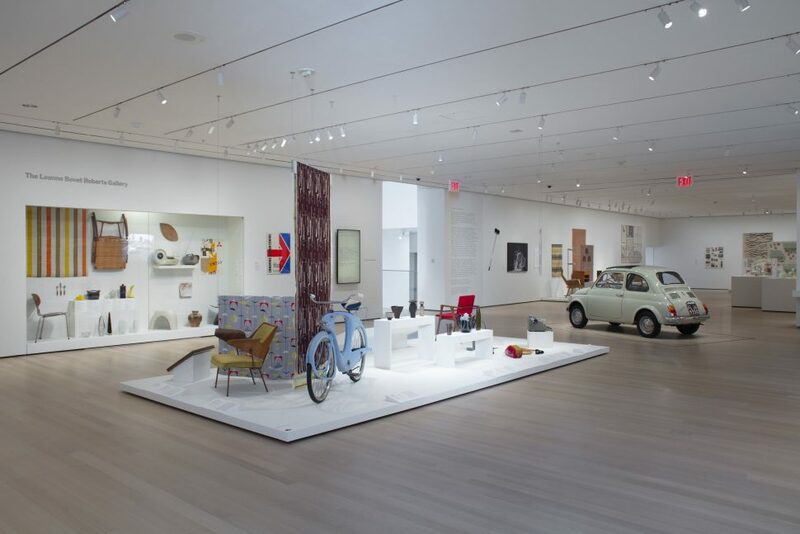 The display centers around a variety of everyday objects — from furnishings to appliances to sporting goods and transportation — that championed both aesthetics and affordability. Other items shown include an East German Werra film camera, an Eames La Chaise chair, a Chemex coffee maker, a Hans Wegner arm chair, an Anywhere Lamp from Greta von Nessen, and a shrimp cleaner from Irwin Gershen. The Value of Good Design runs until June 15, 2019. For more information, visit MoMA.org.